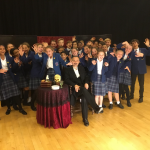 Last Tuesday Year 8 pupils enjoyed a visit from an actor from the Red Heart Theatre Company to talk about the genre of Gothic horror. Here is a report from two of the pupils. 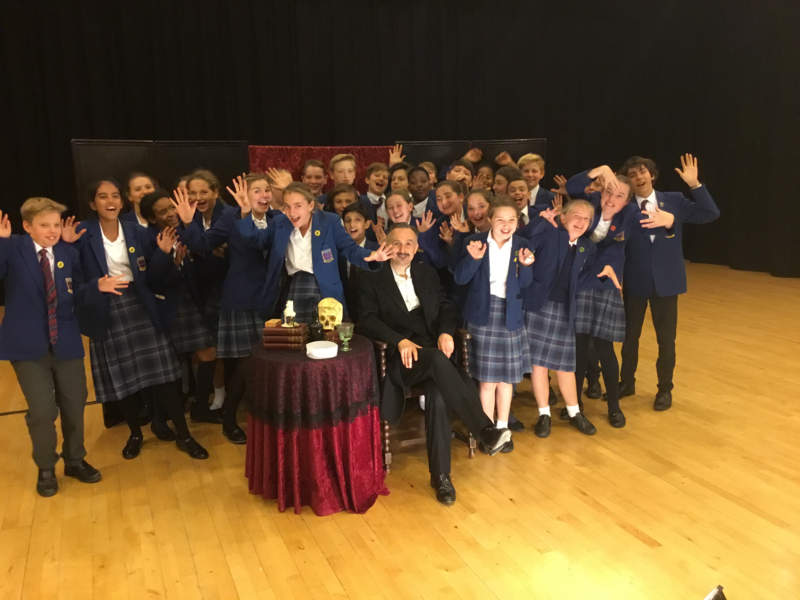 On Tuesday, Year 8 pupils were fortunate to receive a visit from storyteller Rupert of the Red-Heart Theatre Company. Rupert is an expert in gothic horror stories. The gothic theme links with our curriculum in drama and English. We thoroughly enjoyed the evening, while also learning new and interesting techniques for our story writing and acting. The first story Rupert told was ‘The Red Room’ by H.G. Wells, which is about an arrogant young man who doesn’t believe in ghosts and decides to spend a night in a famously haunted room. This is the story that made us jump! He also told ‘The Tell-Tale Heart’ by Edgar Allen Poe, about a madman who is obsessed with an old man’s ‘vulture’ eye and feels that the only way to deal with it is to kill him. Rupert explained how creating an atmosphere is essential in a gothic horror story, as demonstrated in how he brought the stories to life. We all enjoyed the storyteller and thought it was a great opportunity in many different ways. Thank you to Mrs Whyman and Dr Ross for organising this for us.